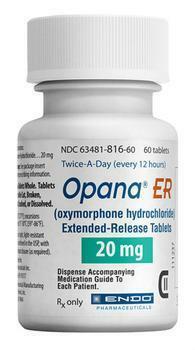 After receiving numerous reports of abuse, the U.S Food and Drug Administration (FDA) is calling on Endo Pharmaceuticals to remove Opana ER from the market. The agency says that the drug, which was first approved in 2006 to treat moderate-to-severe pain, has been connected to serious outbreaks of HIV and hepatitis C. Although Endo Pharmaceuticals previously reformulated the drug to cut down on the number of abuse cases, FDA officials say that consumers are simply changing the way they abuse the drug. The FDA chose to request the removal of Opana ER from the market following a March 2017 advisory committee meeting, at which a panel of independent experts voted 18-8 that the benefits of the reformulated drug did not outweigh the potential for misuse and abuse. The FDA said that further reformulation of the drug would not “meaningfully reduce abuse” and declined Endo Pharmaceuticals request to include a warning label advising consumers of the potential risk. Although the drug currently retains its approved status from the FDA and the withdrawal is voluntary, officials say that refusal to withdraw the product will result in further action to take away its approved status. FDA Commissioner Scott Gottlieb said that the agency will continue to look at other opioid medications in much the same way to see if the benefits of currently available drugs outweigh the risks. Consumers can learn more about the FDA’s request by visiting the agency’s site here.